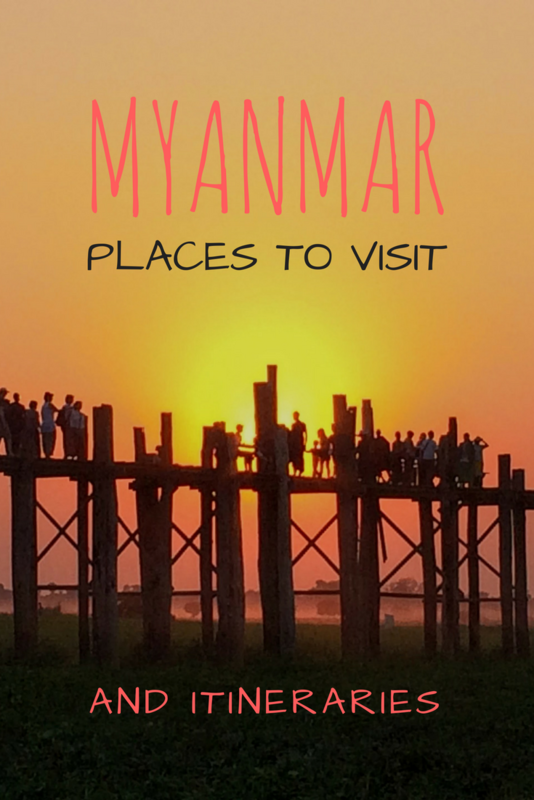 I’ll also give you a run down of the main places to visit in Myanmar, tips for getting visas, taking transport and booking accommodation in the country. 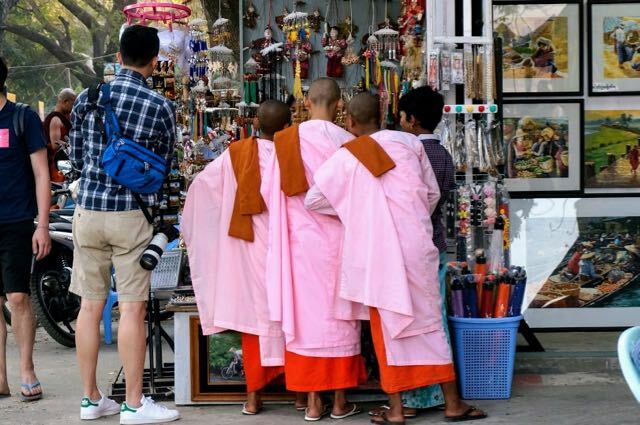 Choosing a route is going to be an important part of your Myanmar itinerary and not just for the usual reasons – efficiency of travel, packing in the sights you want to see – Myanmar only opened up to tourism relatively recently and this has two implications for your itinerary. First, there are still parts of Myanmar that you cannot, as a tourist, visit. There are also some parts that you can only visit under the supervision of a guide. This post covers only those places you are free to wander all on your own (without getting arrested or without hiring a guide). Second, infrastructure is still being built. So, although it should make sense for you to be able to take a bus from one major tourist spot to another, it’s not always possible. A tourist ‘trail’ has sprung up and if you want to detour from it, be prepared for slow or expensive travel; most likely both. My Myanmar itinerary: I spent 3 weeks in Myanmar, travelling at a reasonably leisurely pace. There are other places I would have liked to have added in but didn’t reach for various reasons – hiking was out due to recent knee surgery and a trip to the capital (Naypdidaw) was out due to bad planning and a pre-booked tour at Inle Lake. I have included these spots in the list of places to visit in Myanmar to give you more complete information for planning your Myanmar itinerary. Choosing a route: I travelled in a big circle, starting in Yangon and, after a lot of research, I believe this is the best route. It’s easier to find cheap flights in and out of Yangon – the city connect with way more places internationally compared to Mandalay – and the major tourist spots form a bit of a circle that will save you zig zagging the country because you’re fly into Yangon and out of Mandalay. Of course, this loop becomes harder the fewer days you have to travel within Myanmar so some of my suggested Myanmar itineraries below, take a different tack, focusing on the real highlights. How long do you need? I’ve long been a proponent of ‘it’s better to see somewhere quickly than not see it at all’. So, if you only have 7 days in Myanmar, you only have 7 days. As I’ve mentioned, I had 3 weeks but I could have wrapped it up in 2 weeks if I’d been focused and I’d say 2 weeks is a fantastic trip length. 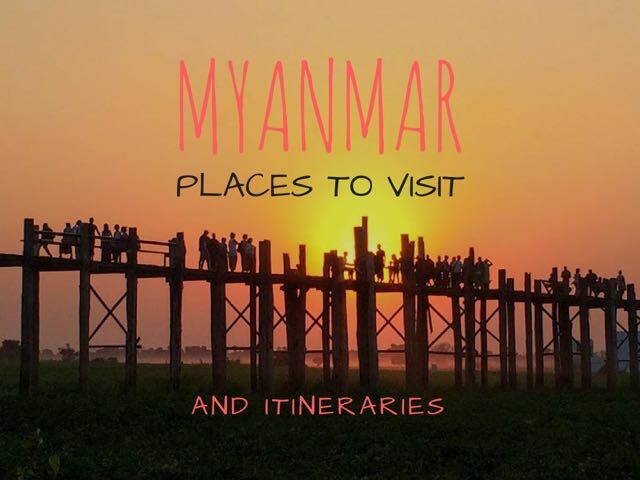 10 days is still going to get you through most of the highlights and, because travel is slow in Myanmar, 7 days is going to involve some real cherry picking of the sights. But, as I said, you have as long as you have, right? My suggested Myanmar itineraries can be found at the end. Since Myanmar has opened up, many companies now offer tours through the country. I love the TourRadar, which is a comparison site for booking tours that includes all the major brands and more besides (over 1 million tours across 500 trusted tour operators). They also throw in their own discount compared to booking direct with the tour companies and have 24/7 phone support. Click here to compare prices and itineraries for Myanmar with TourRadar. What follows is a run down of the best and most popular places to visit in Myanmar. In some cases I’ve written a more detailed guide to a particular place so I’ve given the links to those below. Prefer a seated Buddha? How about the 12 metre (40.5 foot) Buddha at Nga Gyi Pagoda? It is very easy to visit Yangon on your own. However, if you prefer a tour, there are plenty of cultural and sightseeing tours to choose from. Click here to check reviews and prices on TripAdvisor. One whole day as a minimum, so 2 nights. Ideally, build in 3-4 days to properly explore Yangon. Yangon or Mandalay? Yangon has many more sights and is, for most people, the preferred city. Budget: Little Yangon Hostel: Click here for latest prices. Budget: Pickled Tea Hostel: Click here for latest prices. Mid-Range: Jasmine Palace Hotel: Click here for latest prices. Mid-Range: Hotel Grand United (21st Century Downtown): Click here for latest prices . Luxury: Sule Shangri-La: Click here for latest prices. Luxury: The Savoy: Click here for latest prices. Top travel tip: Plan your entire trip route before you set off around Myanmar. As Myanmar’s transport has very specific routes, it’s very easy to paint yourself into a corner that will result in you having to backtrack, chewing through time and money. By Air: Yangon has an international airport and serves the largest number of destinations both within and outside the country. By bus: Yangon is also very well connected by both bus and train routes. It’s from Yangon that you will have the greatest choice of places to travel to. By train: Yangon is a major stop on the country’s train system. Do be aware that trains are not what you’d find in developed countries. Think: hard seats and no or inadequate air conditioning. Train travel is also much slower than bus. However, if you’re after a local experience, train is the way to go. 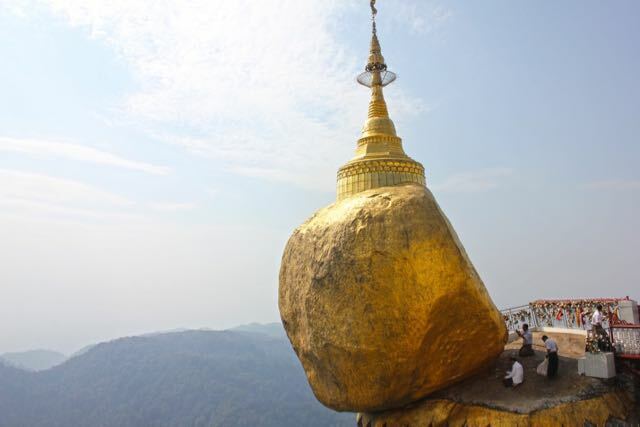 A gold gilded rock hanging off a cliff edge that’s also a major pilgrimage site – need I say more? If you want to take a day trip on your own, you can read how to do it using public transport here. For a tour with private transport, you can find out more and check tour prices here. If you’re after more pagodas, an impressive reclining Buddha and a wine monastery, you will want to take a trip to Bago. Bago is only a couple of hours away from Yangon, making it an easy day trip. You can find out how to get there via public transport here and you can read about the sights of Bago here. If you prefer to take a guided tour (which can work out cheaper if you factor in getting around Bago by taxi), you can find out more and check tour prices here. See the sunrise over the pagoda spotted plains of Bagan. 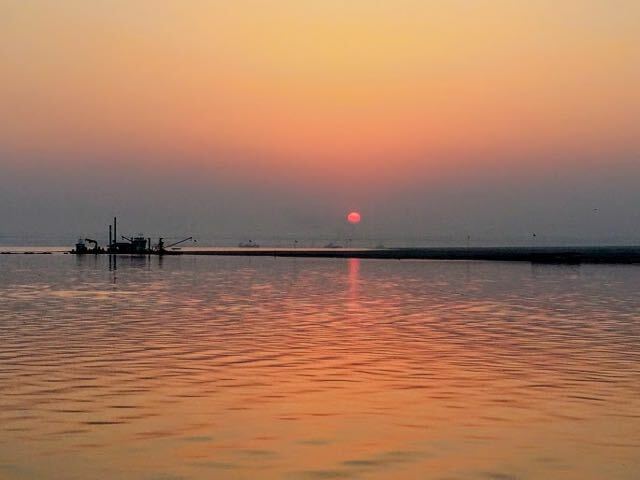 If you really want a special moment, see the sunrise from a hot air balloon. 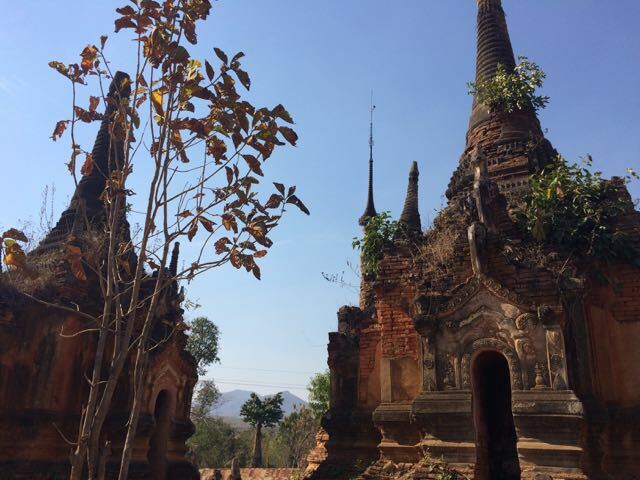 Hike Mount Popa – a volcano with a temple on top because…well, that’s how they roll in Bagan. Bagan is usually (and rightly) stereotyped as a destination for it’s temples. However, there is a lot more to do in Bagan than most people realise. 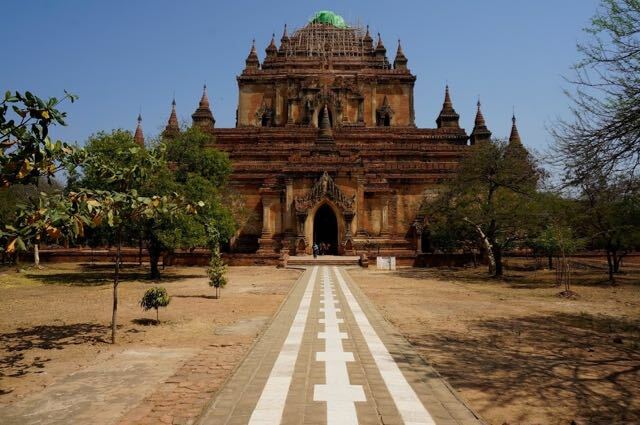 You can read more suggestions in my post: Things to Do in Bagan – The Land of Pagodas. And if you don’t think you’ll quite manage thousands of Pagodas, you can find my list of the best pagodas in Bagan – which ones to see here. 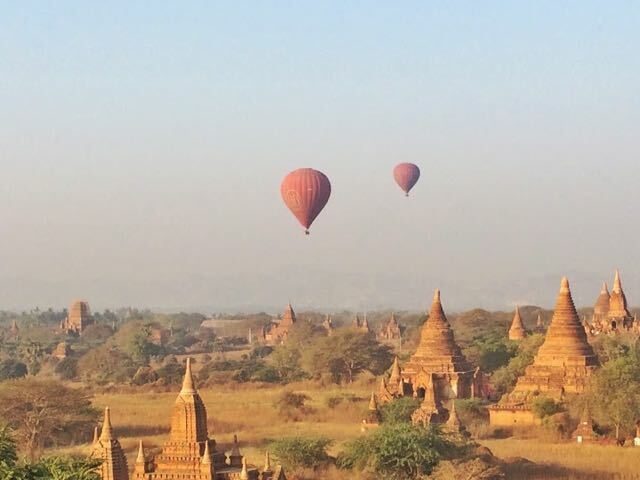 Want to book a hot air balloon ride over Bagan? This is an activity you should plan ahead. Click here to read reviews and check prices on TripAdvisor. If you’re also considering booking a pagoda tour in advance, you can click here to read reviews and check prices on TripAdvisor. I’d recommend 2 days/3 nights in Bagan because there is a lot to see and do and you’re not going to get tired of those sunrises and sunsets any time soon. As a bare minimum, 1 day and 2 nights but I really think you’ll kick yourself if you scoot through Bagan so quickly. Budget: Ostello Bello, Bagan. Click here for latest prices. Mid-Range: The Hotel at Tharabar Gate. Click here for latest prices. Luxury: Bagan Lodge. Click here for latest prices. By Air: The nearest airport is Nyaung U, which is just a couple of miles from old Bagan. It is a domestic terminal only. I used and like JJ Express, one of the VIP buses but there are plenty of companies to choose from. Be aware than most buses travel ay night. You can read more about booking buses and air transport in my post: Myanmar: Things to Know Before You Go. One of the highlights of my trip was taking the boat from Bagan to Mandalay. Of course, you can take the boat in the opposite direction too. You can read more, including details for booking, in my post: Taking the Boat from Bagan to Mandalay. It is possible to book a tour of the lake when you arrive but be aware that not all tours are created equally. I booked ahead with Rickshaw Travel and my tour included a night on the lake (though you have to book that tour as part of a longer package in Myanmar). More details in my post above. Otherwise, there are plenty of tours you can book online, allowing you time to compare what’s included and read reviews. Click here to check reviews and prices on TripAdvisor. As with Yangon, one whole day as a minimum, so 2 nights. 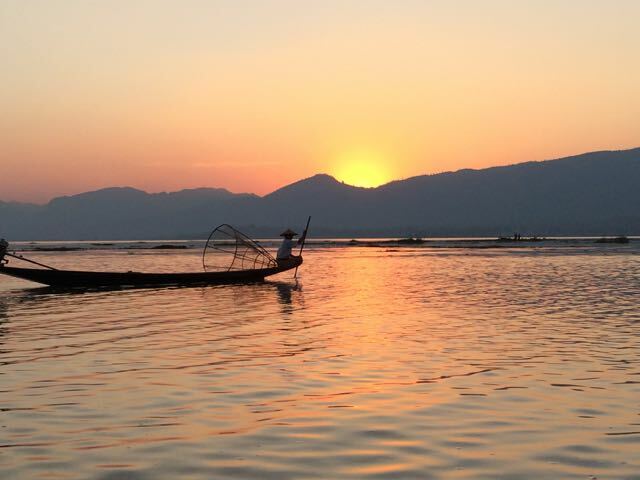 Two nights should be enough in Inle Lake unless you plan on chilling out on a lake-side bungalow. 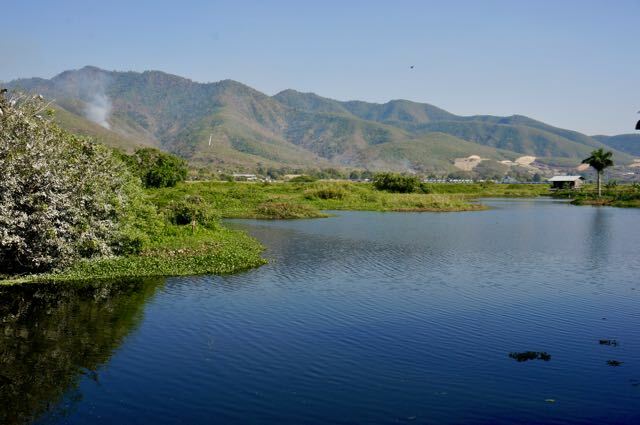 Nyangshwe has very little to entertain besides cafes and restaurants. Most of the accommodation is located in nearby Nyuangshwe with a range of budget to luxury options. I would, however, recommend at least one night on the lake for the sunrise and sunset views. Budget: Ostello Bello Hostel Nyangshwe: Click here for latest prices. Budget: Song of Travel Hostel Nyangshwe: Click here for latest prices. Mid-Range: Thanakha Inle Hotel Nyangshwe: Click here for latest prices. Mid-Range: Aureum Palace Resort & Spa Inle Nyangshwe: Click here for latest prices . Luxury on the Lake: Golden Island Cottages on Inle Lake Click here for latest prices. Luxury in Nyuangshwe: La Maison Birmane Boutique Click here for latest prices. By Air: The nearest airport is Heho, which is about 45-60 minutes’ ride from Nyangshwe via winding mountain roads. Expect to pay around $20 for your taxi (one of the best deals you’ll get in Myanmar for a taxi ride). Heho is a domestic terminal only. A stay on the lake is about another 20 minutes away from Nyuangshwe by boat (or another 40 or so minutes by road). Click here to search on CheapOAir. As mentioned above for Bagan, I used JJ Express, travelling at night. You can read more about booking buses and air transport in my post: Myanmar: Things to Know Before You Go. By train: Inle Lake is not on Myanmar’s rail network. Courtesy of knee surgery a few months before my trip, hiking was firmly off my agenda. However, hiking from Kalaw to Inle Lake (or vice versa) is a very popular option in Myanmar. Do your research first as I spoke to a number of tourists who did the hike and were underwhelmed by the scenery which has fallen victim to the slash and burn method of agriculture, replacing what could have been green hillsides with patches of burnt earth. Getting to Kalaw: Most people start in Kalaw and trek to Inle Lake rather than the other way around. By air: If you’re flying in to Heho, you’re half way there – just take a taxi from the airport. There is a train from the aiport (2 hours) but only once a day in the morning so you’d need to co-ordinate your flight time. How long do you need? The most common treks are either 2 or 4 days long. When should you go? High season (which is both the most popular but also the driest season) is November to February. Myanmar has a wet season unlike most of the rest of SouthEast Asia – it pours, sometimes relentlessly (compared to the once a day heavy showers of most monsoons). This can make for some pretty miserable trekking conditions. 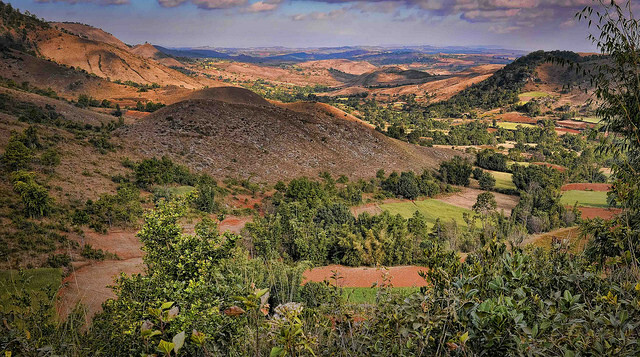 Finiding a guide and tour – it’s possible to pitch up and find a guide in Kalaw but if you prefer to do your research first or book in advance, click here for TripAdvisor’s list of hiking guides in Kalaw. Getting to U-Bein Bridge: You can book a local driver to take you to the U-Bein bridge at sunset. I paid around $40, which was steep given it’s just 30 minutes outside Mandalay. You can take a tour for the same price and if you spend a little more, you can find a tour that will give you a wider tour of Mandalay including lunch. 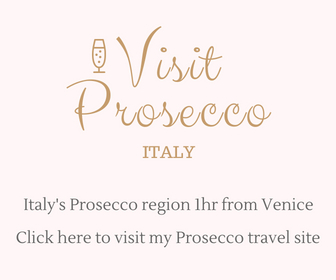 Click here to check tour details, reviews and prices on TripAdvisor. It’s easy to explore the rest of Mandalay independently. However, be aware that the city is sprawling (necessitating taxis) and taxi prices are high. So, it’s highly likely that for Mandalay a tour will your better option. 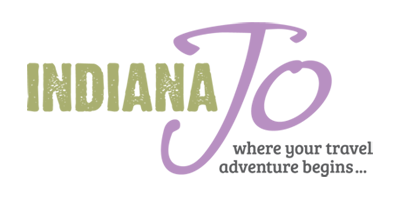 Click here to check tour details, reviews and prices on TripAdvisor. Were it not for the U-Being bridge, I would have happily skipped Mandalay altogether. The sights are few and the city doesn’t hold up to the romanticised view many tourists have of it. If you’re able to time it right, you might get by without spending a night in Mandalay. As a maximum, I’d recommend 1 or 2 nights. Budget: Ostello Bello, Mandalay. Click here for latest prices. Mid-Range: The Link 83 Mandalay Boutique Hotel. Click here for latest prices. Luxury: Mandalay Hill Resort. Click here for latest prices. By Air: Mandalay has an international airport that is also well connected domestically. However, be aware that the airport is about 20 miles outside the city, which can be time consuming (over an hour) and costly due to the traffic. Internationally, you will connect with more destinations by flying from Yangon. 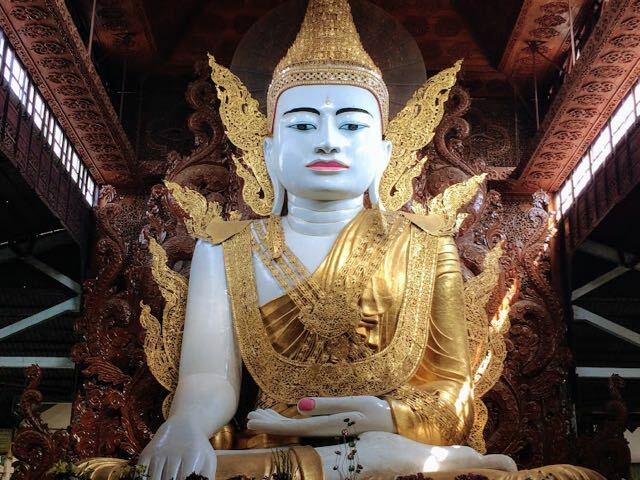 By bus and train: Mandalay, like Yangon, connects with most of the tourist stops in Myanmar. See destinations above for travel times. By boat: see above for details about taking the boat between Mandalay and Bagan – one of the highlights of my trip. Biking around Pyin Oo Lwin? I also didn’t make it to either Pyin Oo Lwin or Hsipaw (below) thanks to my knee and also prioritising some beach time but if you’re looking for a mountain alternative to Kalaw, heading north of Mandalay is a good alternative. Pyin Oo Lwin is an old British Colonial spot where the officers would bolt to escape the very un-British sweltering weather of Myanmar. 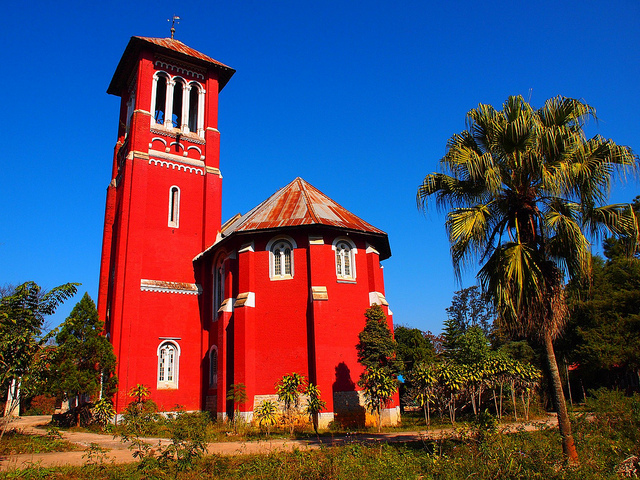 Expect British colonial architecture and a chilled out vibe with great cycling. Getting to Pyin Oo Lwin: Pyin Oo Lwin is on the train line and takes 6 hours from Mandalay. There are no buses from Mandalay, which is a shame because by road it’s only 2 hours. Ask locally and you may be able to arrange a shared taxi. You can also reach Pyin Oo Lwin from Yangon (12 hours by bus). Pyin Oo Lwin also connects with Hsipaw by bus ( (4 hours) and train (7 hours). Hsipaw is a trekking destination that draws people in and keeps them there (probably because it’s cooler and the air cleaner than most other places in Myanmar). Getting to Hspiaw: Also on the train line, it takes 13 hours from Mandalay or 7 hours from Pyin Oo Lwin. There are buses from Mandalay ((7 hours), Pyin Oo Lwin (7 hours), Inle Lake (12 hours) and Yangon (15 hours). The beauty of a beach break is that it doesn’t require much planning beyond picking a hotel, choosing your restaurants for lunch and adding in a few minor sights. 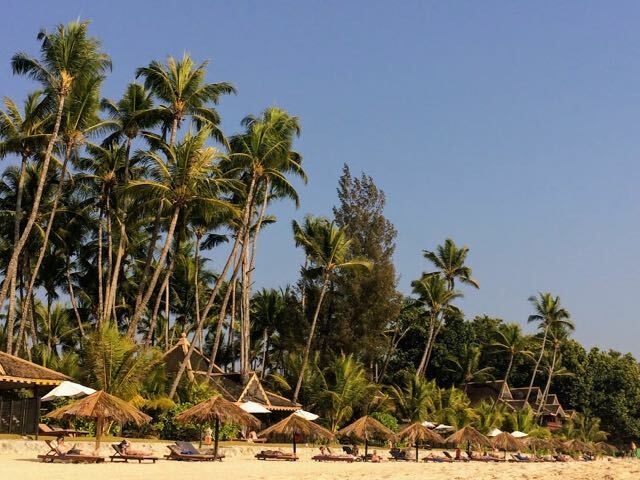 Luckily, I’ve written a guide covering all of those things: Ngapali Beach Hotels, Restaurants and Sights. Do be aware that Ngapali practically shuts down during monsoon season (May to October). You’ll find one or two places running a limited service but do you really want to have a beach stop at a wet and windy ghost town? I stayed 4 nights and I was ready to move on after that. However, keep in mind that I was travelling solo and I didn’t stay in a luxury resort. With a bit more accommodation comfort and a companion, I could have happily enjoyed 7 nights at Ngapali beach. Although it’s possible to visit for a night or two, you’re probably going to have to fly there so it’s probably not going to be worth the expense for a very short stop. You can find full details of where to stay in my post: Ngapali Beach Hotels, Restaurants and Sights. 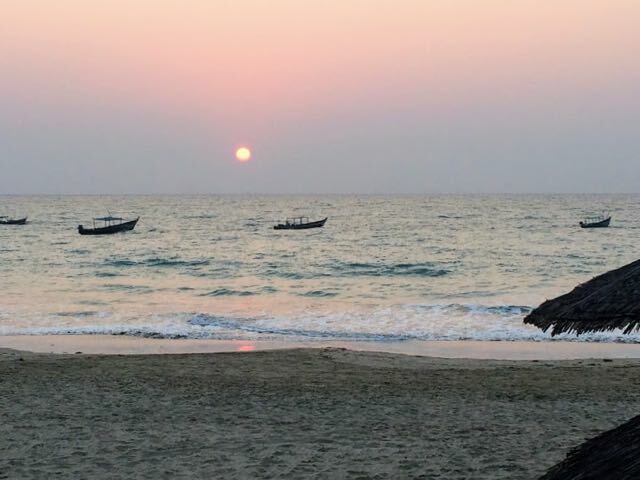 By Air: Flying to Ngapali beach is going to be your best bet because all other transport modes are seriously limited. The local airport is Thandwe and is just a few kilometres from the beach hotels. You can find flights from and to Yangon, Bagan, Mandalay, Heho (Inle Lake). However, these routes thin in monsoon season with cancellations on the day being common. Your most reliable route is in and out of Yangon. By bus: The only bus route running to Ngapali comes from Yangon and takes around 11 hours. If there was one stop that I regret missing on my Myanmar itinerary, it was Naypyitaw. Why visit Naypyitaw? This place looks insane. Several lane highways – deserted. Grand buildings and a stupa to rival Shwedagon in Yangon – all deserted. Five-star hotels you can get absolute bargain deals on – because they’re deserted. Are you spotting a theme here? 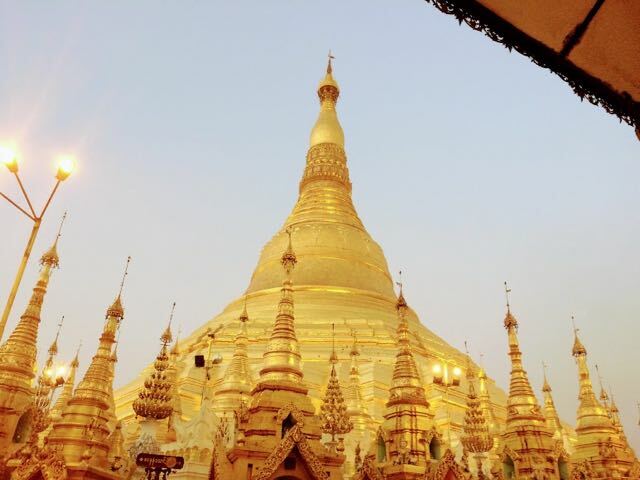 Many visitors wrongly assume that Yangon is the capital of Myanmar…and it was until 2006. However, Naypwitaw stepped into the role after being purpose built for the job. This capital city, which looks like a scene from an end of the world Blockbuster, must surely must be one of the most bizarre capitals in the world. There are conspiracy theories about the capital e.g. 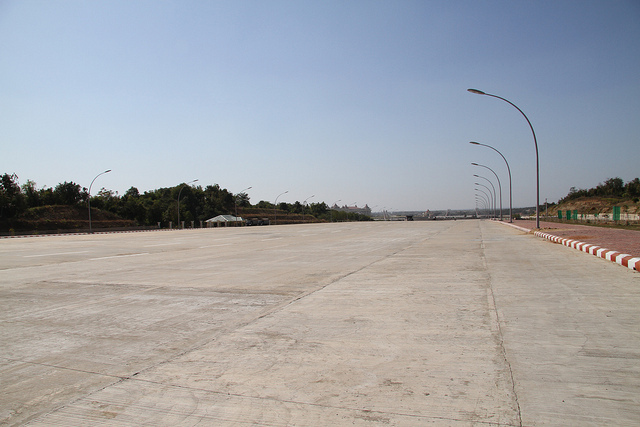 that the empty highways are, in fact, runways and the entire city was designed for escape in the case of invasion. Whatever the truth behind this strange city, it was enough to inspire an entire episode of Top Gear (who wouldn’t want to race through those empty streets) and makes for a true once-in-a-lifetime travel experience. Check out this drone footage of Naypyitaw. Why didn’t I go? Because getting there was a pain in the posterior. With buses running only from Yangon and Mandalay, it wasn’t possible to add the capital into my circular sightseeing route without either backtracking or skipping one of the other sight – neither of which I was prepared to do. If you do want to go to Naypyitaw, make sure you figure out your route before you start travelling. You will need a visa to visit Myanmar. Thankfully, on this front Myanmar is ahead of the curve and you can handle your application entirely online. To avoid any fees charged by visa processing companies, go to the official e-Visa website. You’ll need to upload a passport photo and pay a fee of $50. The website says that visas take up to 3 working days. In practice, mine took under 6 hours. There are plenty of options for getting around Myanmar from bus to train to boat. You can read full details about how to get around in my Myanmar Travel Guide: Know Before you Go. To book flights to Myanmar or within the country, click here to search on Skyscanner or click here to search on CheapOAir. I usually booked my rooms just a couple of days in advance and had no problem with choice. You can read more about booking accommodation in my Myanmar Travel Guide: Know Before you Go. Note: for all of these itineraries, you will have to adjust your ‘nights’ if you choose to take night buses instead of flying. This is easier if you have more time. For shorter trips, I’d recommend flying if your budget allows and then try to aim for early morning or late night flights to avoid wasting your limited sightseeing time in transit. 3 week Myanmar Itinerary – Yangon (3 nights) – Klaw (4 nights for 4-day trek) – Inle Lake (3 nights) – Bagan (4 nights) – boat Bagan to Mandalay – Mandalay (2 nights – includes an early evening arrival from the boat to Mandalay) -.Ngapali Beach (4 nights) – Yangon for flight out (1 night). With 3 weeks at your disposal, you can tailor this itinerary in many ways. If you want to add in Pyin OO Lwin/Hsipaw, skip Ngapali beach and reduce your Klaw trek to 2 days. You could also skip the beach to explore Naypyitaw. And if you have 4 weeks in Myanmar, you can simply add all of these in to the 3 week itinerary. Very interesting info. We visit Thailand frequently and have thought of heading to Burma. We might just need to do it! Thanks and also thanks for the great photo! Helpful post and Great information about Myanmar. You described it very well.